How should a retailer measure the complete supplier contribution to their business considering loyalty, exclusive offers, discretionary funding, human talent, shopper insights, tools, ideas, brands, values, etc.? How should a retailer measure their supplier’s alignment with their strategy? Who are today’s strategic suppliers and who will step forward to become tomorrow’s vanguard? What are our retail expectations from our suppliers at different tiers and how shall we scorecard and manage? TPG’s proprietary supplier segmentation model, supplier scorecard and supplier management processes insure that our retail clients are properly assessing and selecting the optimal partners to support their strategy and future success. Supplier Segmentation Criteria: TPG starts with identification and definition of the critical comparative components that feed the supplier segmentation. 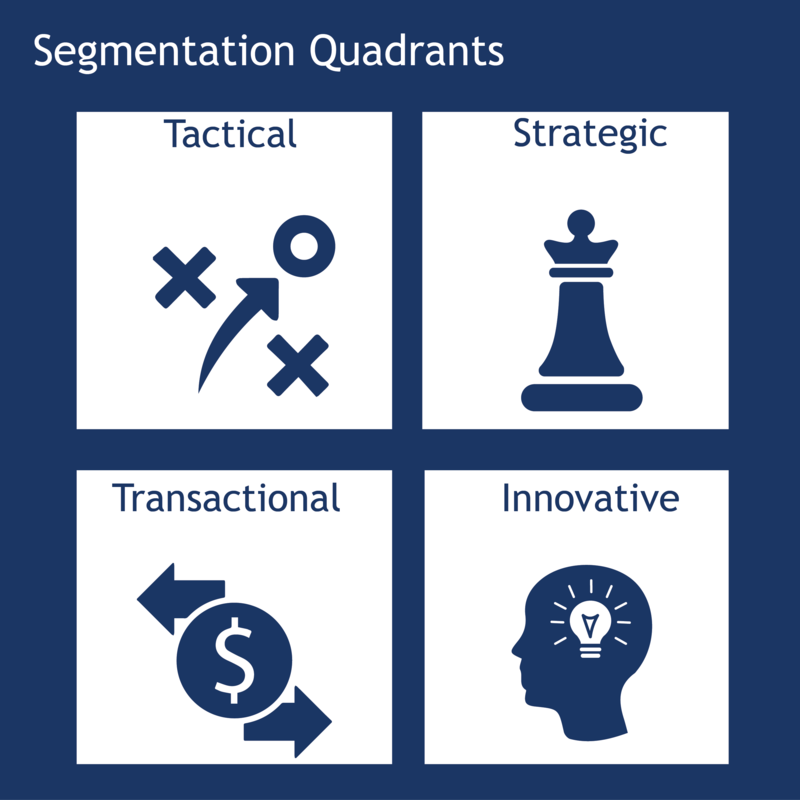 Segmentation Model & Analytics: TPG also offers the development and execution of the underlying quantitative and qualitative analysis that will create the foundation of comparison among the suppliers. Supplier Tiers and Strategic Expectations: TPG then works with a retailer to set objectives and expectations for the retailer-supplier relationship, roles and responsibilities for both parties by supplier segment. Suppliers Scorecard Development: TPG will develop and establish set of key metrics and benchmark targets for a new supplier scorecard. This is designed with a retailer cross-functional team to capture metrics from marketing to merchandising to supply chain. This work also includes a process for the regular review of performance versus expectations between the retailer and supplier. The review process will also include the typical resolution paths needed to address variances to expectations. Supplier Management Protocols: Lastly TPG will facilitate the development of planning approaches and guidelines for data sharing, strategy joint development, systems collaboration, supply chain integration and even product innovation where appropriate.